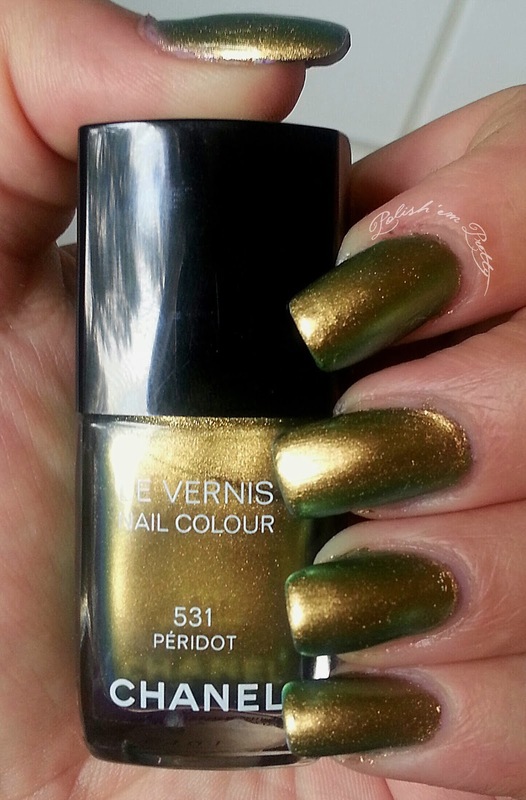 Peridot is a very pretty green/gold multi-chrome color polish from Chanels Illusions d’Ombre collection. 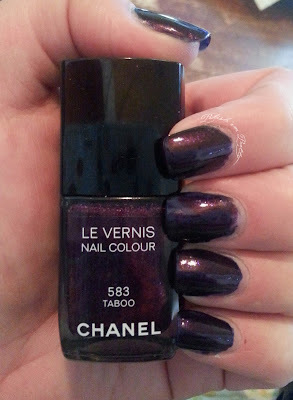 One of my favorites from Chanel indeed. It's a little streaky when applied, but it evens out when it dries. 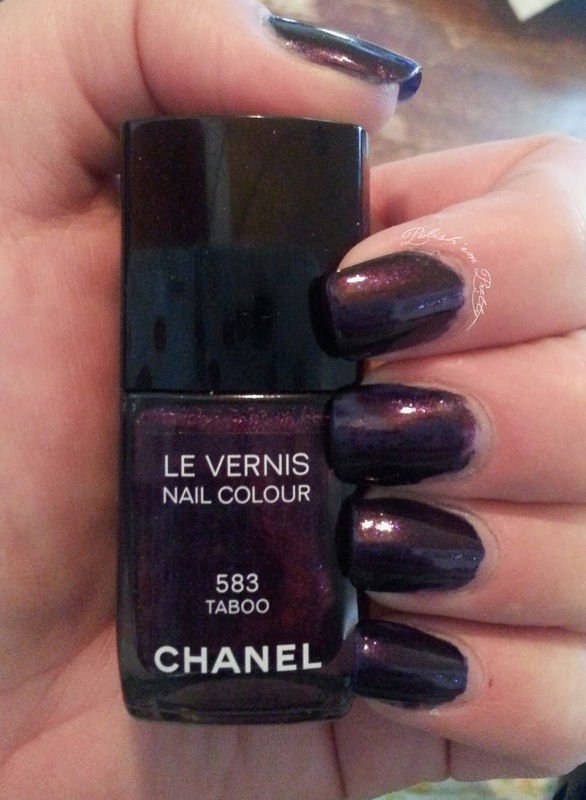 The formula is great, it only takes 2 coats to get opaque and it dries really fast. Indeed a polish worth buying even though it's a bit pricy!